Two balls rolled down into the deep end. 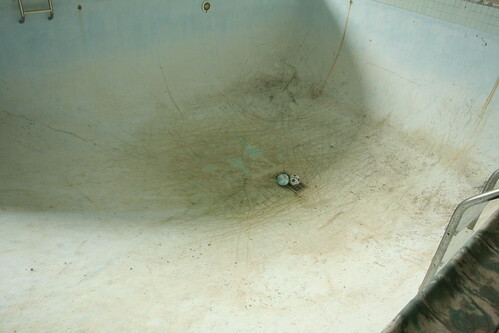 Hotel security mentioned to me that they'd caught skate punks BMX-ing this pool. I don't blame them, considering it's perfectly rounded and absolutely begging for it. Especially considering how deep this pool actually is. It said it was 9 feet deep, but when I stood at the very bottom, the edge of the pool was at least 5 feet above my head. And I'm not *that* short.